Would you buy a carrot from this man? Join Mr. Bunni, a door-to-door vegetable salesman, as he journeys from earth to sea and even to outer space to find new customers. Will he ever sell enough carrots to please his boss? Or will his new friends teach him a valuable lesson? This imaginative tabletop performance features a live actor, colorful 2D paper puppets, and plenty of audience interaction. Brad Shur is a versatile puppeteer who has created and performed characters made of everything from pixels to paper mache. He is the Artist in Residence at Puppet Showplace Theatre in Brookline, MA. Please stay after to plant your own carrot and play with puppets! 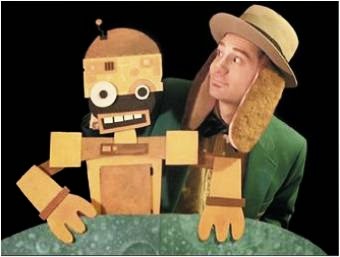 Brad Shur’s original works include The Yankee Peddler: Stories and Songs from Old New England and The Magic Soup and Other Stories, recently featured at the Puppeteers of America National Festival 2013. Prior to becoming the Artist in Residence at Puppet Showplace, Shur toured the country as a performer with Big Nazo (Rhode Island), Wood & Strings Theatre (Tennessee) and The PuppeTree (Vermont). As a builder Shur has designed and fabricated puppets for American Idol, Dollywood, Avenue Qproductions, and the U.S.S. Constitution Museum. Shur is a graduate of the Rhode Island School of Design. The Monkey King lands happily in the Heavens, ready for adventure in the Year of the Horse. The Monkey King has high hopes for his time in the Heavens. He wants to meet the Gods and lovely Goddesses, and learn the secrets of long life. But when he isn't invited to the New Year Banquet, Monkey's appetites for mischief -- and peaches -- get the better of him! Will Monkey learn the ways of goodness? 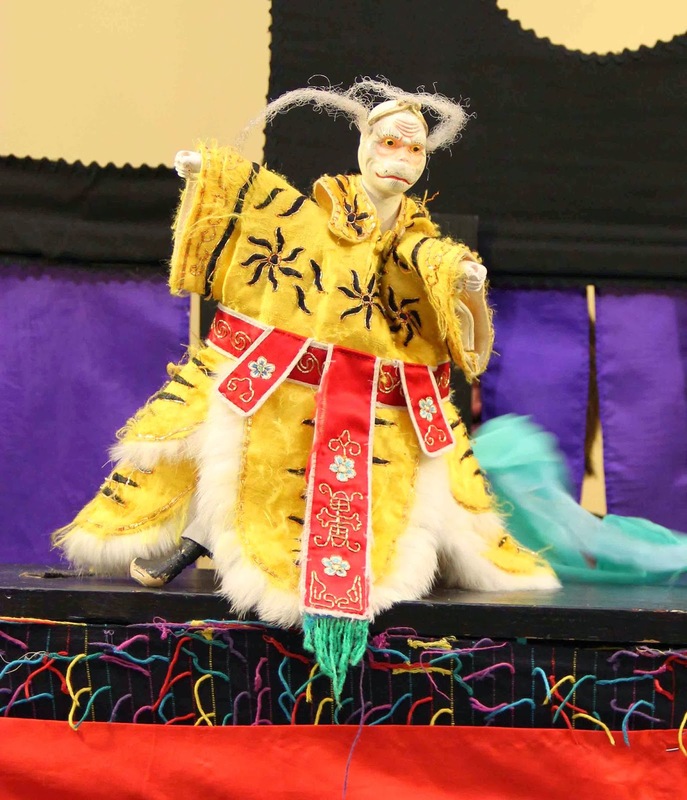 And please stay after the show for oolong tea and a chance to dance with a New Year lion! BEFORE THE SHOW: TURN TRASH INTO ART! A fun family workshop at Arlington Center for the Arts from 1 to 2 pm on February 8th. Get ready for Arlington's ECOFest (March 29th) by creating something useful and beautiful from a bucket. Trader Joe's supplies the buckets; Arlington Center for the Arts gives you all the paint you need; you and your children supply the creativity and fun!